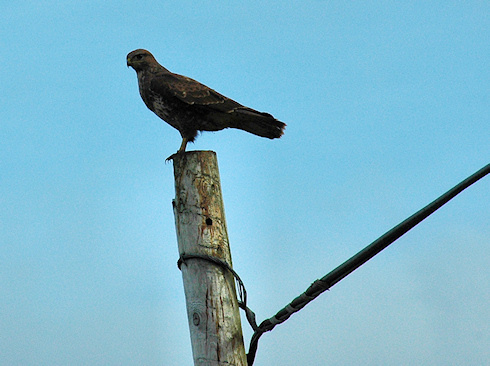 Now Buzzards aren't really rare birds of prey any more, they can be spotted and heard in many places nowadays (at least in the UK, not sure about other countries). Nevertheless it was nice for me to get this close to it. It didn't stay long though, seconds after I took this picture it lifted off and disappeared. As usual I'll post the larger version (larger as in more than twice as big) on the Islay Pictures photoblog on Saturday morning. Until then I wish you a good night and a great weekend!